You don't have to find the end of a rainbow to escape in this pot of gold. 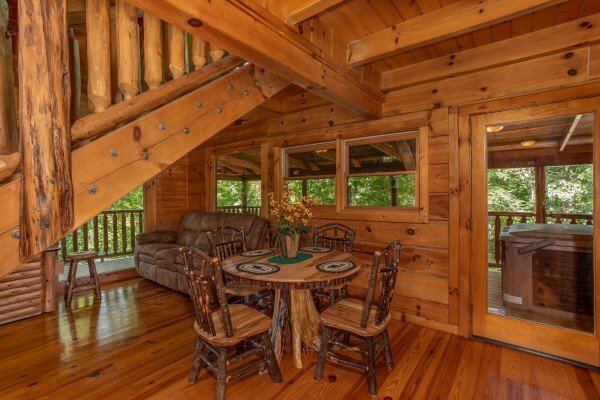 HONEY BEAR COTTAGE is one sweet log cabin, and its available now for your getaway! 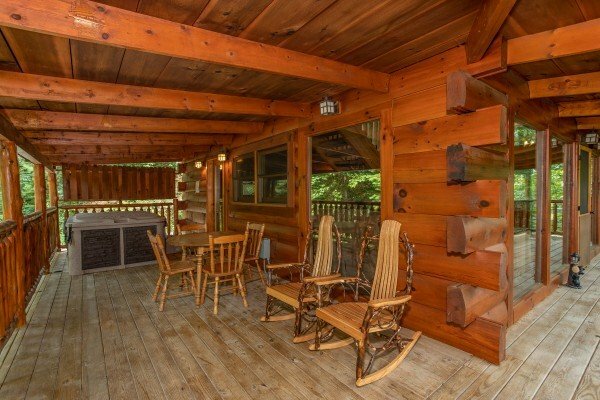 Conveniently located between Pigeon Forge and Gatlinburg, guests will enjoy the easy access back to town, the Glades Arts & Crafts community, and even Rocky Top Sports World! 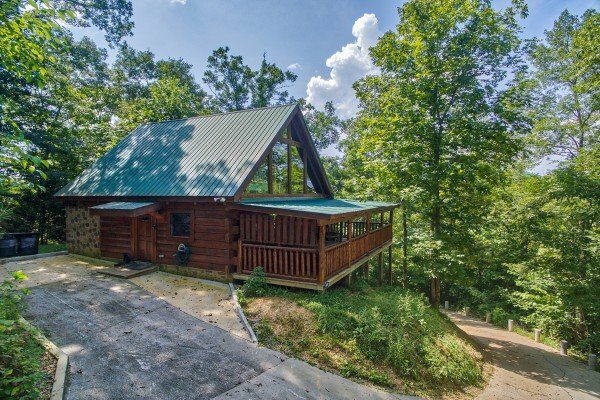 This is one mountain cabin that you'll be happy to hibernate in! 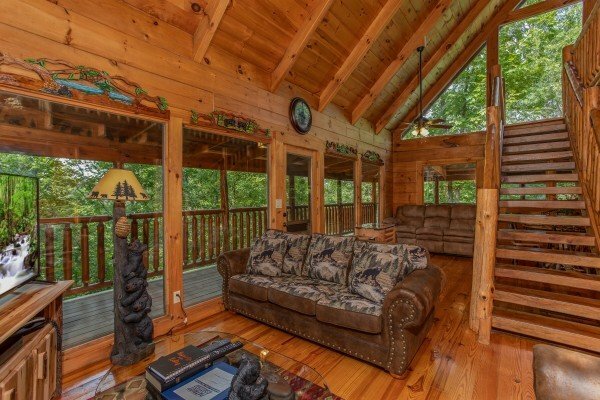 Enter from paved parking, with no steps, and into the vaulted open living area with timber framed roof, and tall windows that let nature's views be enjoyed inside or out. 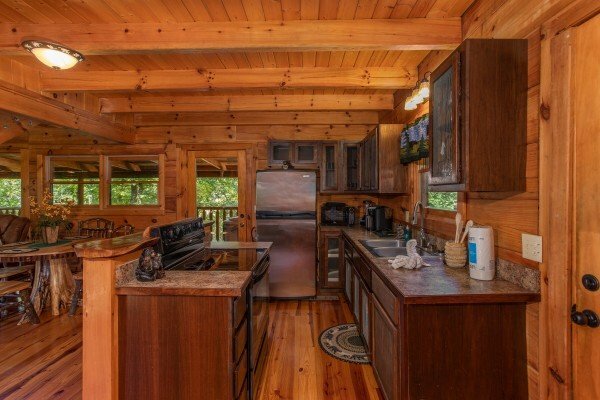 Bring your groceries, and prepare your favorite recipes in the fully stocked kitchen, or dine outside under the full length covered porch. 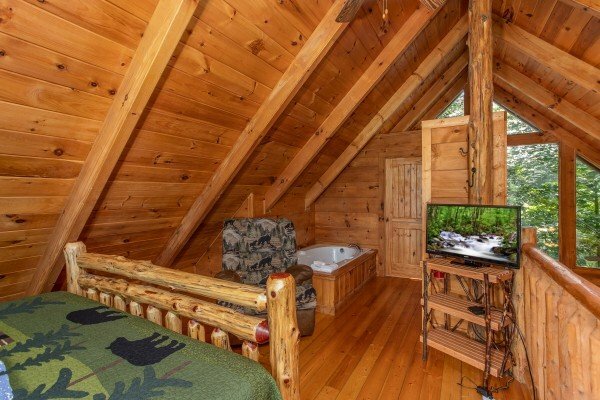 Upstairs a real log bed is perfect for snugglin up after a relaxing soak in the in-room jacuzzi. 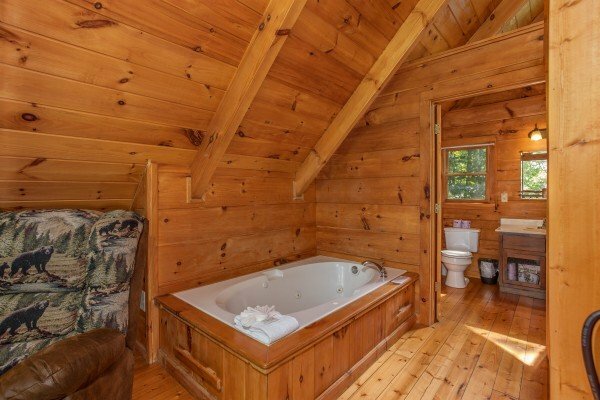 A second bathroom and sleeper sofa make this cabin perfect for romantic getaways, or small families too. 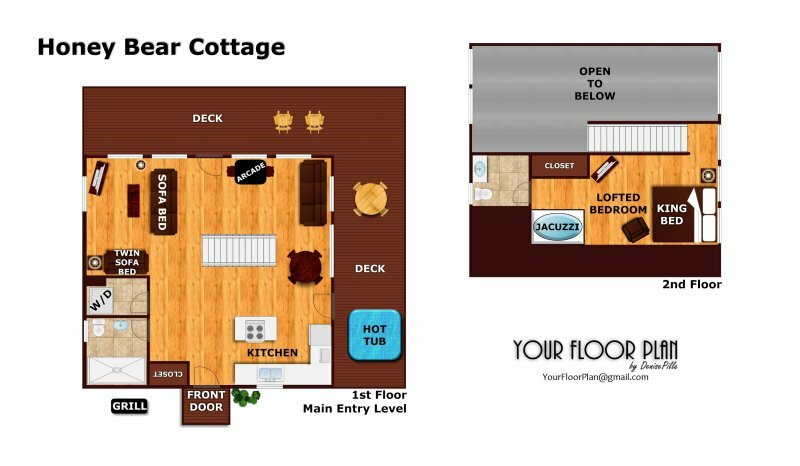 Call today and plan your SWEET getaway in HBC! 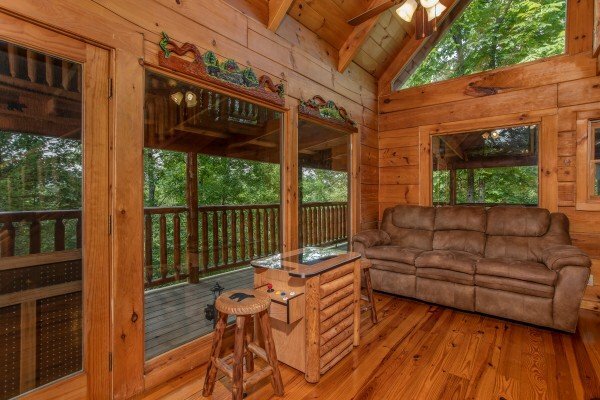 This was an excellent cabin and beautiful setting. The only issue we had was the driveway and parking was a little tight. 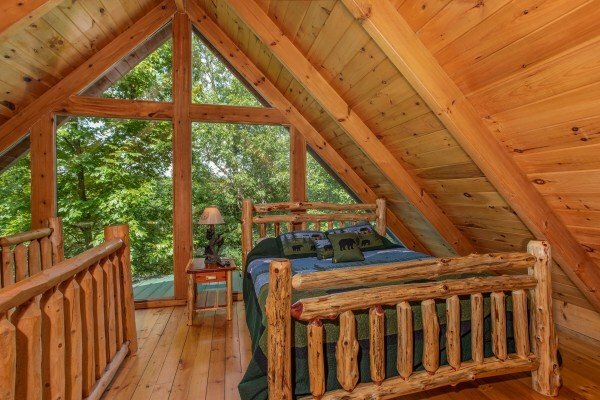 We would definitely stay here again! 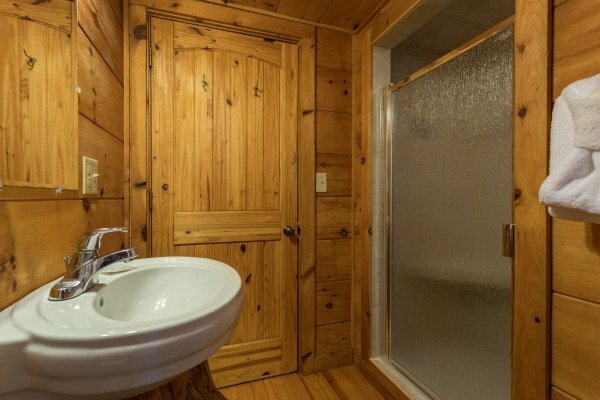 Honey Bear Cottage is a beautiful, peaceful cabin. 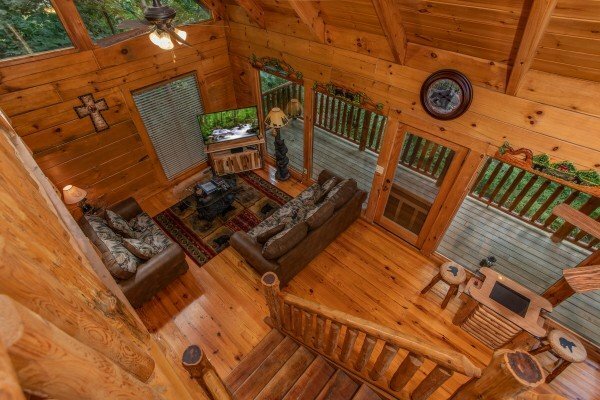 We have rented from American Patriot for many years, but this cabin makes all others pale in comparison. My family had a great time and the process in total was easy. Great directions given and very very clean. 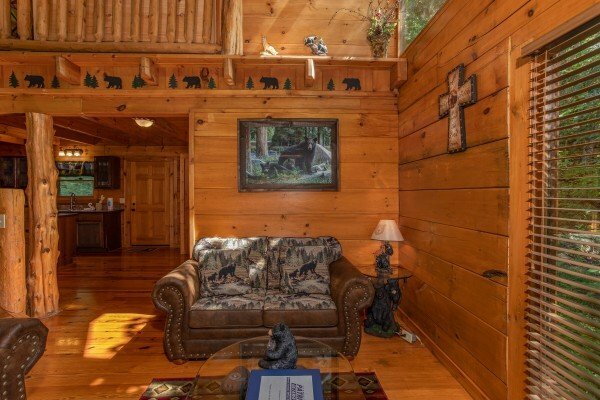 Our family stayed at the the Honey Bear Cottage. 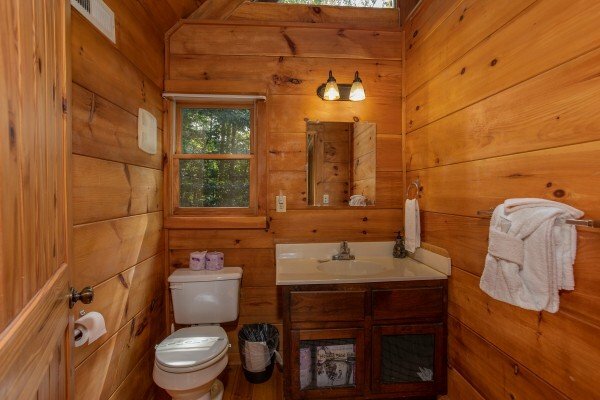 It was very welcoming and clean. 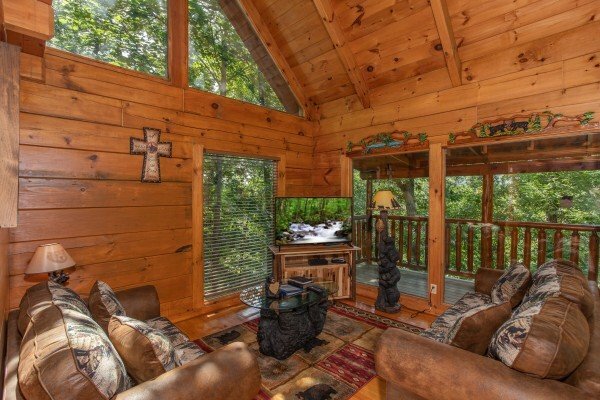 It gave us Floridians a good feel of living in the mountains. 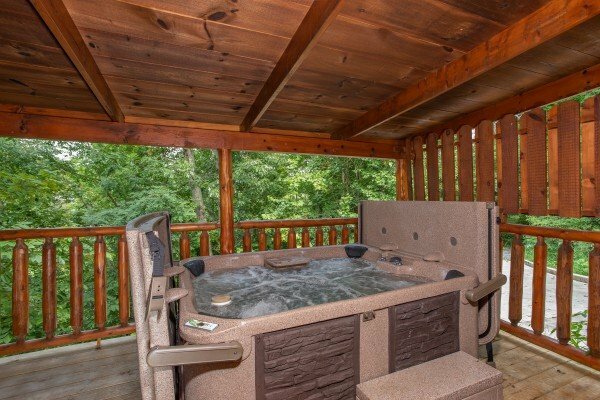 Great location to all outdoor activities in the area. 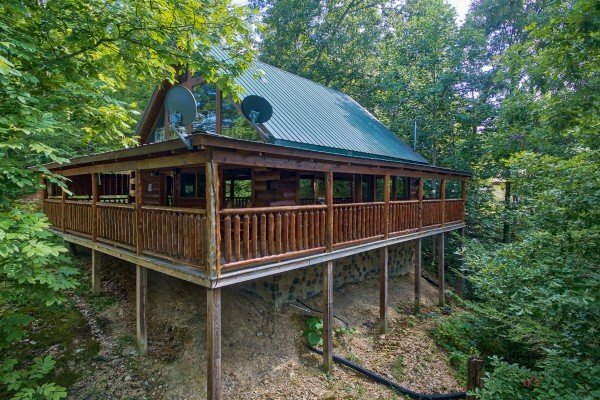 We didn't have internet and TV at check in but the staff responded appropriately and worked to restore them as quickly as possible.We would stay here and with Americn Patriot Getaways again.